Inside Charleston Civic Centre in West Virginia, the then presidential candidate Donald Trump put on a miner’s hard hat as he blurted out “miners, get ready, because you’re going to be working your asses off.” During Trump’s presidential campaign, his ambition to restore jobs for miners’ communities across the US has been key, and since the election his administration adhered to their promise. 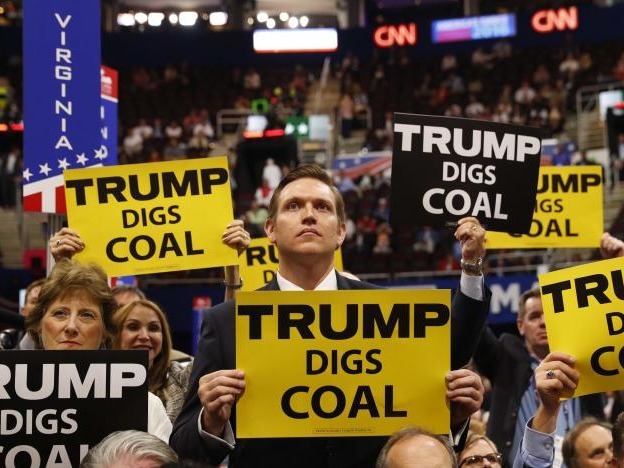 The only hindrance to Trump’s vision is that the coal industry is (and should be) declining, leaving thousands of families in need of support as they transition into a new, post-coal world. All of the above has little to do with neither the well being nor job security of coal miners. Instead, Trump’s administration has been cutting funds for non-profit organisation such as Appalachian Regional Commission. The ARC helps revitalise communities affected by coal mining job loss with funding employment programmes, such as Bitsource in Kentucky, hiring miners as software programmers and paying them throughout their learning course.